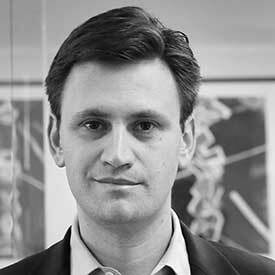 Andrei Cherny is CEO of Aspiration, an online financial platform with a conscience that is founded on the idea that we can do well and do good at the same time. Aspiration brings to everyone top-rated, sustainable, socially-conscious banking and investing accounts, trusts it customers to Pay What Is Fair, and gives ten percent of its revenue to charity. Andrei has worked for nearly twenty years to make the financial system more open and fair. One of Investment News’ “40 Under 40” investment professionals, Andrei has been an advisor to Fortune 100 companies including some of America’s largest financial institutions, a senior fellow at Harvard's John F. Kennedy School of Government and at the Center for American Progress, a Navy reserve officer, and a financial fraud prosecutor. As the co-founder and president of Democracy journal, Andrei worked with then-law professor Elizabeth Warren to launch the fight for what became the Consumer Financial Protection Bureau. A former White House aide, President Clinton called Andrei a “critical part of the team” which brought about the economic successes of the 1990s. His 2000 book, “The Next Deal,” outlined how technology was transforming the expectations of consumers and citizens. He is also author of the bestselling, “The Candy Bombers” about the occupation of Germany and the beginning of the Cold War. He graduated from Harvard University and from the University of California Berkeley law school.